If you’re anything like us you’re probably glued to your phone, but if you’re an iPhone user then with iOS 12 you might find you start using your phone slightly less. That’s because Apple is rumored to be working on a new ‘Digital Health’ initiative, which consists of a series of tools found in a new menu in your phone’s settings screen, telling you how much time you spend on your phone and within certain apps. According to Mark Gurman (a reputable source for Apple leaks) writing for Bloomberg, the new tools will apparently be shown off at WWDC 2018, which kicks off on June 4 (that’s Monday), so we should see how they work very soon. The general idea though appears to be to get people to use their iOS devices less, or at least be more conscious of their use. And Apple isn’t the only company putting a focus on how much we use our devices, as a similar sounding feature is baked into Android P.
Getting us to use our devices less isn’t all Apple will be doing at WWDC though, as among other things Gurman claims that Apple will also announce new Animoji features. He doesn’t specify what they will be but does say that the company will be making another big general AR (augmented reality) push, with the launch of things like a new mode that would let objects be dropped into an area and virtually remain in place, and another which would let users play AR games against each other in the same virtual environment. These new features will all apparently be part of software that Apple is internally calling ‘ARKit 2.0’. 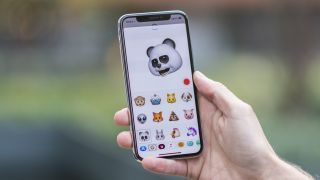 Of course, these are just rumors for now, and even if they are announced at WWDC you might have to wait a while to actually be able to use these features, as iOS 12 itself isn’t expected to be fully launched until September, though there are sure to be various betas before then if you really can’t wait.